As we head into the final week of September, there is a lot going on with WH Athletics. Before we give the recap, we have several pieces of exciting news. 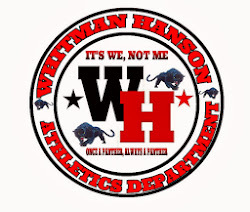 At last week’s school committee, we made our plans official to establish a Whitman-Hanson Athletics Hall of Fame. The first meeting of the planning group will take place on Wednesday at 6pm in room 161. Anyone can attend this planning meeting where we will establish the guidelines and framework for this ambitious endeavor. Ultimately, we will have a voting group of members who will do the bulk of the leg work and voting. The other exciting news is that our scoreboard project seems to be on track to have the board up and running for our football game Friday night against Duxbury. A lot still has to happen to pull this off, but the concrete was poured on Saturday for the foundations and the rest of the work is scheduled for early this week. Our current plan at halftime is to hold a dedication ceremony where we will thank our sponsors and all those who worked so hard to make this happen. 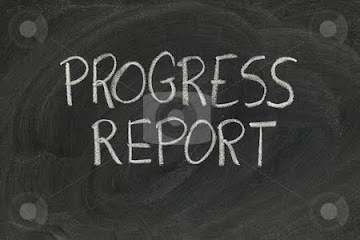 And now to our update…. 1) The girls soccer team remained unbeaten with a come from behind, 5-1 win at Hanover on Friday. The Panthers trailed 1-0 early in the second half before they exploded for 5 unanswered goals to improve to 4-0. Freshman Kelsee Wozniak continued his torrid scoring streak by netting a pair of goals, while Alexis Billings, Olivia Borgen and Nora Manning also scored. Reese Codero picked up the win in net with the help of strong defensive efforts from Sam Perkins, Samantha Smith, Olivia Johnson, Erin Wood and Courtney Woodward. The girls will host Silver Lake Tuesday night at 6:30pm weather permitting. 3) Our cross country teams are getting better every day and the best news is we have close to 60 kids participating. Unfortunately both teams lost their meets this week at Duxbury but there were many outstanding performances. On the girls side, Tori Boss (21:43) , Maeve McDonough (21:59) and Maeve Rooney (22:00.) were the top finishers while in boys action, Theo Kamperides was the top Panther runner. The teams will be back in action on Tuesday at home against Plymouth North. 4) The golf team suffered its first setback of the season with a 2 stroke loss at Silver Lake. But the highlight of the week was a gutty performance at home in beating Plymouth North, 232-239 in a continuation/make-up match from a rain shortened affair the previous week. Junior Ian Brown has been a solid addition to the lineup this year, leading the Panthers to their victory today with his 3 over par performance. Senior captain Owen Manning also continues to play consistently well, along with junior Matt Korzec, who both shot a 4 over par, 38. Sophomore Aidan Miller was among the top scorers with his 5 over par, and senior Pat Dever and junior Brian Fox both helped to seal the deal with their 6 over par play. The Panthers will host Plymouth South on Tuesday if Mother Nature allows. Weather has been tough this season with 3 matches already postponed. 5) The football game on Friday at Hingham came just as advertised with two outstanding teams battling for 4 quarters and unfortunately the Panthers found themselves on the short end of a 22-13 final score. Senior captain Ethan Phelps was 11-19 passing for 122 yards. He threw for one touchdown and ran for another. Senior captain Rian Schwede caught the TD pass and had 3 catches for 41 yards. Senior Billy Martell had 3 catches for 20 yards. Senior captain Jacob Nixon turned in one of the best catches you will ever see with a one handed grab for a big gain in the second half. While the loss was disappointing, it was in no way defining for the Panthers. They have a great opportunity to bounce back Friday night when they host the perennial league champion Duxbury Dragons. 6) It was a tough week for our field hockey team as they lost a pair of games (3-0 at Hingham and 1-0 against Pembroke). In the Pembroke game which was played under the lights, the Panthers had many opportunities but the Pembroke goalie was sensational turning back several great scoring opportunities. Senior Captain Annika Putur lead the charge of constant attacks in the Titan’s offensive zone. Putur and her Panther forwards were supported heavily by the great passing of defensive player Kathryn Dunn. However, the Panthers were not able to penetrate the Titans defense which stood steadfast against the speedy forwards of the Panthers. WH, which is 1-2-1 in Patriot League action and Overall 2-2-2, hosts Plymouth North Monday at 4pm. 7) The volleyball team dropped 2 of 3 this week but their win was a thriller outlasting Hanover at home 3-2. The set scores were 25-16 (WH), 21-25 (H), 25-19 (WH), 11-25 (H) and 15-12 (WH). Passing was strong from the back row and the Panthers played great at the net and in defensive positions. Leaders on the court include Junior middle Ella Sweeney with a dominating 17 kills in the match. Senior captain Nicole Scott held the back row strong playing her best match yet as libero with 20 digs. Senior setter Kylie Gervasio was consistent with 14 assists and fantastic coverage. The Panthers are 2-5 overall, 2-4 in league play and host Plymouth South Wednesday 9/26. 8) Our cheerleaders wrapped up their choreography this week and are poised to have another great year. Their first comp will be 10/21 at Oliver Ames.